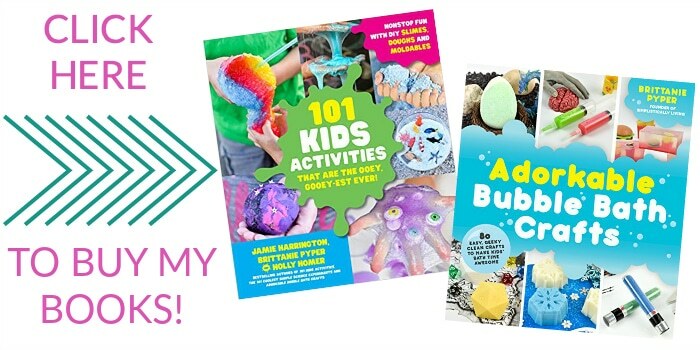 Fortnite is all my kid seems to talk about nowadays and I won’t lie, the game developers have been quite brilliant in their marketing strategy. 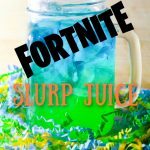 With the ever-growing echo of the word “Fortnite” floating around in our home, we decided to take our son’s passion for the game and make a crazy-cool recreation of Fortnite Slurp Juice. 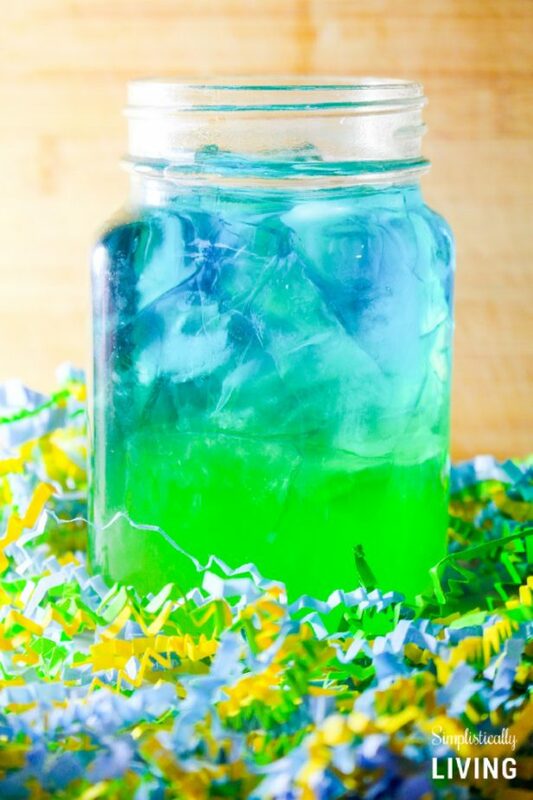 This totally edible Fortnite Slurp Juice Recipe is super easy to make and perfect for Fortnite gaming sessions, birthday parties, and just a night online with friends. 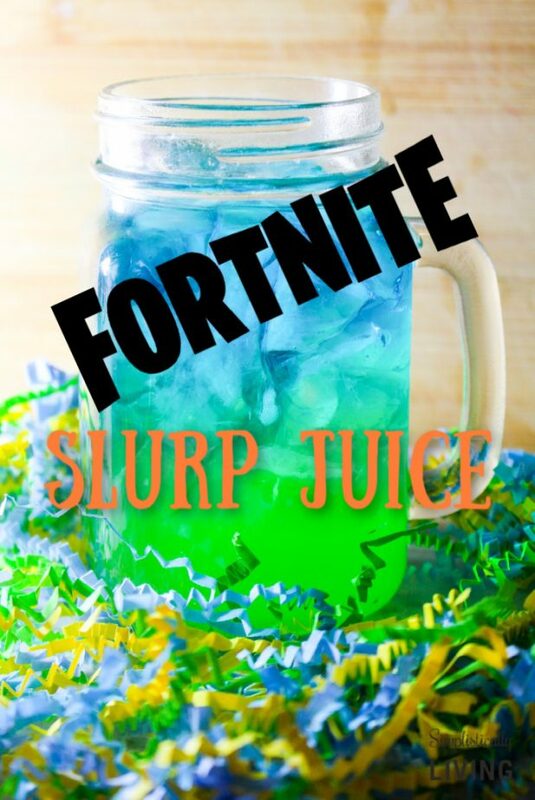 What is Fornite Slurp Juice? Fornite Slurp Juice is an epic consumable healing item in Battle Royale. It grants one health every 0.5 seconds, up to a total of 75. If health is full, shield will be granted instead. Slurp Juice can be found in Chests, Supply Drops, and Supply Llamas. 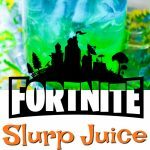 Only 1 Slurp Juice can be active at a time. 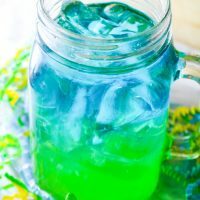 How did you prevent the two drinks from mixing? 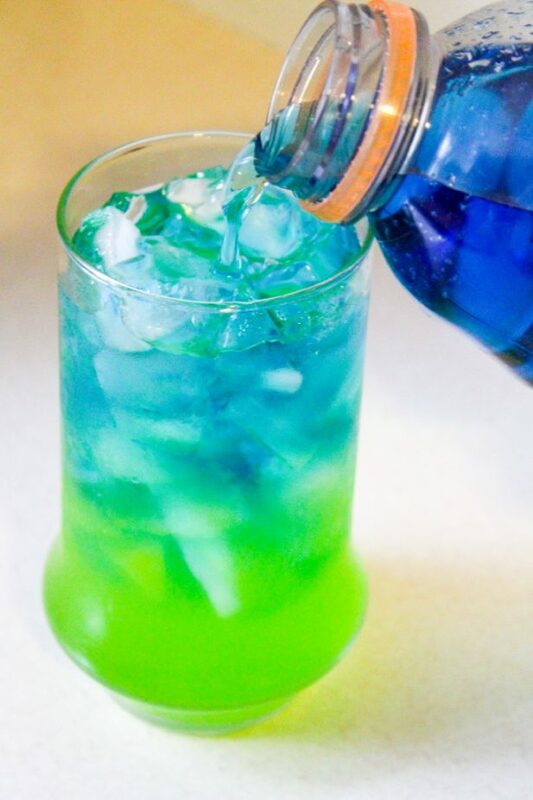 You may notice that this drink has a layered look to it meaning the two different colored drinks are not entirely mixed. In order to achieve this look, you’ll want to carefully pour the second drink in on top of the first drink. You can even do this by pouring the drink over the backend of a spoon slowly. You will also want to put your more dense drink first. The Hawaiian Punch is a great choice because it has a higher sugar content and is heavier causing it to ‘sink’. The sugar free/low sugar sports drinks are less dense and will ‘float’ on top. 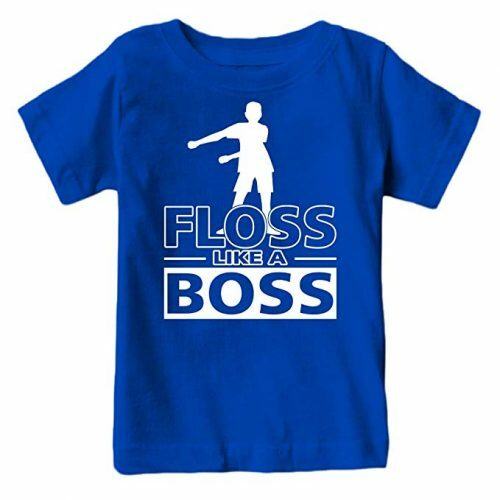 And if you really want to make your kids’ day, check out this “Floss Like a Boss” Fornite Shirt. 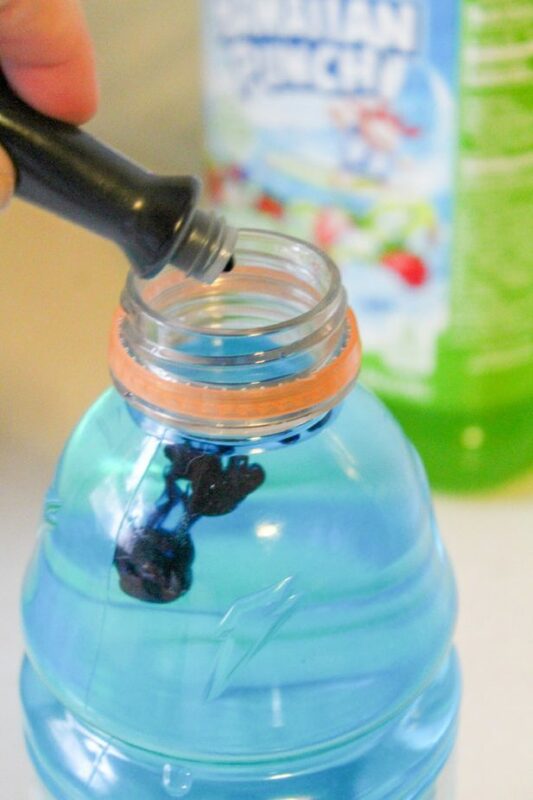 In the bottle of Gatorade or Powerade, pour a few drops of blue food coloring and shake to mix. 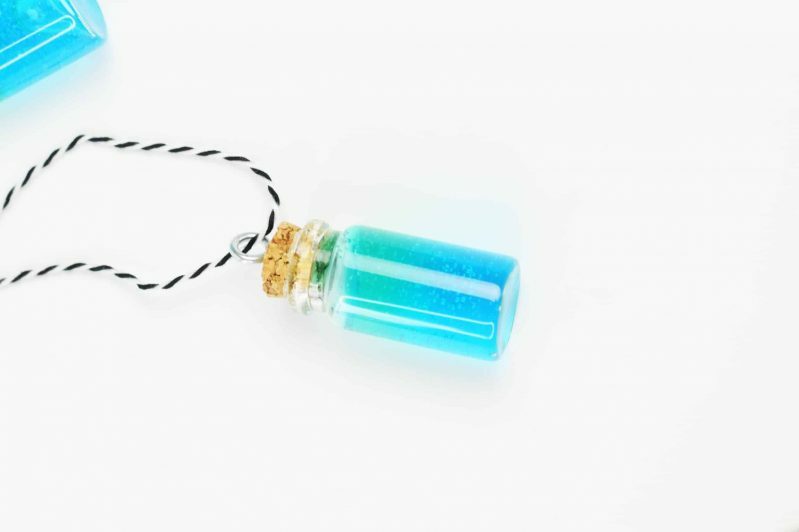 This will help the blue turn the perfect Slurp Juice shade! 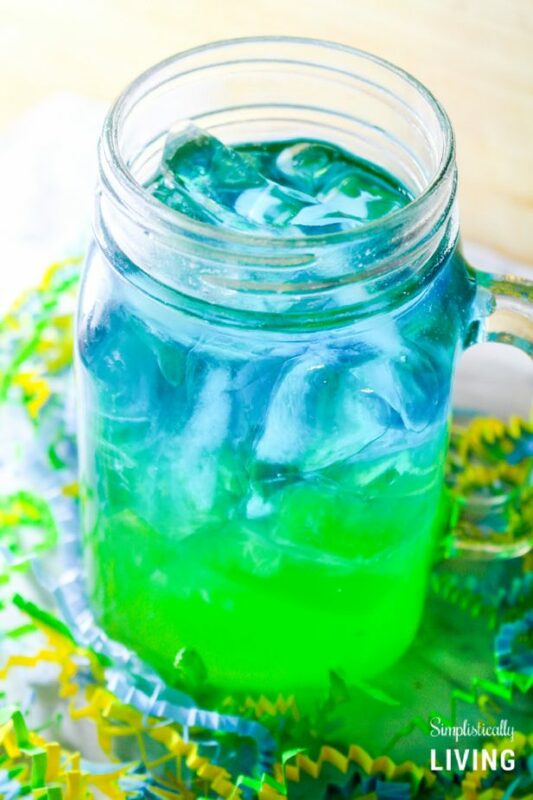 Pour in ¾ of the glass green Hawaiian Punch. The blue should float on top of the green! You will want to put your more dense drink first. Hawaiian Punch is a great choice because it has a higher sugar content and is heavier causing it to ‘sink’. The sugar free/low sugar sports drinks are less dense and will ‘float’ on top.